What nuances separate the good from the great instructor or the ordinary personal trainer from the extraordinary one? Have you ever taken a step back, stumped at someone else’s success in the shadow of your failure, and wondered, “What does she have that I don’t?” Many fitness professionals have thought about the best way to pack a room or retain a client, and everyone has a unique perspective. More often than not, the theories focus on our methods: exercises, equipment, music and cuing. However, evidence suggests that while the basis of a great fitness experience certainly does have something to do with what you teach, how you teach is equally important. It’s time to investigate what you don’t say and how your approach to designing programs, delivering cues and dealing with members can elevate you to superstar status in a matter of weeks, while creating unparalleled success for clients. Programming: our ability to structure our	neurological and linguistic systems to achieve results. Simply put, NLP is the subjective study of language,communication and personal change (Dilts et al. 1980). It provides models of how our states of mind, presence and interactions—along with verbal and nonverbal communications—shape our capacities to achieve. When applied to fitness careers, it also helps reveal how we can positively influence every member in our quest to Inspire the World to Fitness®. As a fitness professional, your “duty” is to apply your knowledge of anatomy, kinesiology, biomechanics and physiology to a wide variety of people to help each one accomplish individual goals; however, your responsibilities don’t lie exclusively in “hard” science. A substantial ingredient in both your own success and the success of your clients lies in your ability to communicate effectively with diverse participants with unique backgrounds, needs and abilities. NLP, an area of “soft” science, deserves investigation. Every human being lives in a unique reality. This simple statement forms a primary presupposition of NLP. Based on our unique upbringing, values, culture and life experiences, each of us has a unique map of the world, through which we filter information. Our unique reality leads us to experience and remember a situation differently from anyone else faced with the exact same circumstances. We each use external data to represent the outside world within our mind; “the map is not the territory” describes how our perception of reality is not reality itself, but rather our personal version of reality. Now, what happens when you introduce your unique map to the unique maps of 30 people attending your Monday night class? While several maps may be interconnected based on living locations, socioeconomic status, places in life, religion and so on, not one person in the room will enter, experience or leave the class in the exact same way. Is it any wonder why pleasing a group is such a challenge? Or why 10 people sing your praises at the end of class, 15people say nothing and five write negative comment cards? It’s enough to drive you crazy . . . unless you walk into every situation armed with the knowledge that participants live in their unique realities, and one size will never fit all (see the sidebar “Reading Your Map” for more). Individuals use their maps to “frame” behavior, skewing personal experience by filtering it in certain ways. Let’s explore how that can happen in a class or training session and how you can circumvent the filtering process. NLP offers five basic lessons that will help you create a safe,successful environment for members. Do you focus on clients’ diverse needs and unique resources, or do you hone in on problems that might arise? Orienting your teaching toward outcomes rather than problems is important. Create goals for each workout. Let these goals form your framework. Within this framework, provide multiple ways for clients to use their unique abilities to accomplish the overall goal versus the specific movements you have sequenced. Clearly communicate the goal of the entire workout, as well as the goal for each segment or exercise. Enable participants to manipulate one to two variables to accomplish the desired outcome. For example, in a cycling class you might say, “We are going to be climbing a hill for the next 5 minutes. The goal is to keep your leg speed between 60 and 80 revolutions per minute (rpm) and increase the resistance until you feel uncomfortable.” You are providing the objective (“feel uncomfortable”), but at the same time you are allowing participants to experiment with variables (the leg speed and the number of times they increase the resistance) in order to achieve that goal. The experience would be completely different if you delivered the same drill by saying, “Set your leg speed to 70 rpm, and do not allow your speed to change. Now turn the knob two full turns to the right.” Each person would feel different. Some might say the climb was easy, and others might feel it was too hard because they were unable to work with their unique potential. Provide a desired outcome that is within everyone’s reach, and then allow individuals to find their own way within a framework of solutions. You invite self-discovery when you ask participants how they are receiving the experience both internally and externally. Most of us were taught to be direct in our delivery, whether one-on-one or in groups. We play follow the leader (“Up, up,down, down, . . . step-touch, . . . make it bigger . . . make sure your heels are on the step completely”). We supply options to suit different levels (beginner,intermediate or advanced), or we spend our time correcting exercises to help students achieve more. NLP suggests that adults must “own it to get it,” and we cannot possibly know how our plan is going to fit for an individual. Each participant must be given room to figure out how the class can work specifically for him or her. For example, if you’re teaching a strength class and you want to fatigue the legs quickly, you might select squat jumps. Not everyone can do squat jumps comfortably. Typically, you’d cue the section: “Squat jumps are next; if you do not wish to do squat jumps, you can do a squat to calf raise or simply a squat.” If this is all you say, participants might find it challenging to determine their best strategy, because they don’t have all the information(“How many do I have to do? How fast are they going to be? How would you like me to feel when I’m done?”). There­fore, participants are left with two choices: choose the exercise they know they can do and have it not be adequately challenging, or go for the hard option and fail. Experiment with the following strategy for delivering options: “We are getting ready for our toughest leg sequence of the day; it’s the last time you will get to work the legs. By the time we are done with 20 repetitions, I want your legs to be talking to you.You can squat, squat to calf raise or squat-jump. Feel free to try all three on for size. Which one will work for you?” Check in throughout the set by asking questions and providing road markers: “We have 10 left; are you sure the choice you’ve made will leave your legs begging for mercy?” In this scenario, none of the options connotes easy or hard. The choices are nonjudgmental, allowing all participants to arrive at the same destination. Participants determine how to get to the end goal, not why. If your feedback is focused on what is going wrong, you are communicating that something is unwanted. Instead, base feedback on making adjustments toward a desired outcome. NLP assumes that all responses are useful in some context and suggests that feedback should focus on self-realization, not criticism. Impersonal training situations, you deliver direct feedback because you’ve developed rapport with the client. However, in the group setting, feedback is a sticky subject. General feedback (delivered to the entire group) often falls on deaf ears. The person who needs the correction has no idea you are speaking to him, and those who don’t need the correction start questioning themselves .Indirect feedback (getting someone’s attention through eye contact or connecting without singling out a participant) is still problematic for individuals who have not established rapport. Direct, public feedback may spell disaster for a new participant or even a regular. While your intention in giving corrections is good (you want to improve form for safety and effectiveness), such feedback has the potential to turn some people off as their internal dialogue ramps up. Their own maps trigger this response. If you approach the correction of technique from the understanding that everyone is working perfectly to accomplish what he or she is doing—and that pointing out what you don’t want actually makes that image stay in the subconscious—you begin developing solid strategies that allow students to self-correct safely. First, learn to choose your battles! You cannot possibly correct every single misstep or imperfection. Come into your sessions with a game plan:“Which part will I focus on today?” During the squat sequence, for example, you might choose to focus on keeping weight in the heels to increase range of motion. As you teach the squat section of class, choose statements,descriptions and questions that revolve around that one key piece of information: “Keep weight in your heels.” “Picture a 4-year-old’s chair and try to sit into it.” “Can you wiggle your toes at the bottom of your squat?” Each example illustrates the focus while allowing students to determine whether adjustments are necessary. You’re not pointing out the wrong behavior, but continually reiterating the outcome. You’re asking each individual to assess whether or not an adjustment might achieve the desired outcome. Choose one item to focus on, and make feedback as specific as possible. The fourth lesson suggests that the person with the most flexibility exerts the most influence. As a fitness professional dedicated to leading people to a life of wellness, your ultimate job is to be influential. You influence others to make choices that lead them to success. Successful experiences lead to retention .Retention leads to a life of wellness. To be most influential in workouts, look at what can be done versus what must be done. Textbooks teach programming based on physical needs. You assess your client’s needs and design a program. You create a class title and description, and then program around the promise of the class and the average attendee. While the physical elements are important, you must also remain open to the sociological and psychological needs of participants and program the workout to ensure that no one is left behind. If you don’t provide several pathways to achieve the end goal, you run the risk that participants will feel unsuccessful, moving them further from their goals. Loosely form your physical programs—a framework peppered with possibilities—and be ready to rearrange the puzzle pieces on the spot if they aren’t working. It’s easy to get stuck in your routine; you researched,developed, practiced and delivered it. You have stock in it, and you want people to “get it” because you know it works. This is especially true in a group class. It’s tempting to turn a blind eye to those falling behind if most people are doing fine—or, on the flip side, to get stuck too long on a segment,helping those who can’t follow. Either way, one group is not getting what they need, which might leave them frustrated. No matter how important the choreography is to you, keep in mind that it is merely a means to an end .Provide a point in each workout for every participant to feel like a rock star; it’s important to allow everyone to shine. Never presume that your planned workout will meet the needs of everyone. Lead by being adventurous, and ask participants to be adventurous, too. Ask them to explore what is personally meaningful to them in the experience. You have no way of knowing what people are thinking, so you must find out. Move beyond the front row, beyond your regulars and beyond your fan club to truly gauge how your students are feeling! Two opportunities for learning more about participants’ needs come at the beginning and end of class. Arrive early enough to meet, greet and show interest in your students, starting with the first person to get there.Prop the door open, play inviting music, and head outside the room to recruit new folks. Say hello to regulars, and genuinely thank them for their ongoing presence. Make it a goal to seek out at least two people who are new or look intimidated. Introduce a first-timer to a veteran—begin creating a community within your class. Here are three questions to ask while waiting: “What are you hoping to get out of my class today?” “How will you—and I—know if you’re getting that?” (i.e., what are the signs that will indicate how this individual is receiving the class experience?) and “Will you promise to give the workout a chance and remain flexible if it doesn’t feel 100% comfortable at first?” You must also make promises to new participants to respond to these three requests.For example, “You’ve got it; you want to smile today and relieve stress. That’s my main mission”; “So, if you stop moving, that is a sign you are getting frustrated? I’ll be on the lookout!” and “If you promise to remain flexible, I promise to give you as many chances to be successful as possible! We’re in this together.” Your curiosity at the onset of the interaction builds rapport and provides a safe place for participants, which helps them receive your message. Ask for valid feedback at the end of class. You can learn a lot from how a flight attendant reacts as you deplane, no matter what has happened in the air. A flight attendant must stand at the front door as you exit and a spleasantly as possible say good-bye and thank you for flying. No matter what your experience has been, you will most likely look back at the flight attendant, smile and say thank-you, as well. At the end of our classes, we typically say, “Thank you so much for coming. If you have any questions, comments or concerns, I’ll be here; please come chat with me.” Then we proceed to turn our backs, head for the stereo, pack our bags and exit! We think we’ve opened the lines for communication and people will attempt to talk to us if necessary. You might find this is true if you already have a relationship with someone. But if you are interested in learning more about new participants or those you don’t know, or even if you just need a little positive reinforcement, head for the door (or wherever students must go before they exit, such as the mat-stacking area). One by one, genuinely thank all your participants for attending, ask how they enjoyed the workout and invite them to return. You’ll be so surprised by what you get in return. NLP introduces communication tactics that can improve your ability to influence others,transforming you from a good instructor into a great one. We have merely scratched the surface of NLP. Continue to explore the notion that words, while meaningful, are only part of the message you are delivering to the world. The more time you devote to the softer side of science, the better opportunity hard science has to help move all participants toward a life of wellness. While everyone lives in a unique reality, the one area where we overlap is in our need to feel successful. Success does not come merely by creating exercises and programs, but in the way you put the exercises together, deliver them and safely experiment without judgment. It is important to experiment with different formats, time slots and clients—not only to increase your earnings but also to find the best fit specifically for you. Which members does your map or unique reality overlap with most? This is the group that you have the best chance to influence. These people should form the core of your business. For example, if you begin teaching a 9:30 am class filled with moms who have two children each and drive a minivan and you are arecent college graduate who has no children and drives a sports car, no matter what you do in class, your participants may still not hear your message. Should you stay and try to please them? You could, but at some point, you might want to try on a different group for size. The fitness industry is already a tough road full of preparation, hard work and constant evaluation. Doesn’t it make more sense to give yourself a head start by choosing a spot where you “fit in”? Allow the unique-reality theory to give you peace of mind. If a client does not enjoy your training style and decides not to purchase more sessions with you, walking away is the best gift they could ever give you. It will pave the way for a better-suited client. While it is always healthy to consider why a client leaves or why a class participant writes a bad comment card, it is also healthy to let the issue go if you approached the assignment with integrity and your best effort. Your worst critic lives in a unique reality and is simply not receptive to your message.It is better to deliver the message to an audience with the capacity to receive it. Dilts, R., et al. 1980. Neuro-LinguisticProgramming: Vol. 1, The Study of the Structure of Subjective Experience. Capitola, CA: Meta Publications. Shannon Fable, 2006 ACE Group Fitness Instructor of the Year, owns Sunshine Fitness Resources, a consulting service for fitness professionals, and is group fitnessdirector at Lakeshore Athletic Club outside of Boulder, Colorado. Want more from Shannon Fable? Shannon Fable, 2013 IDEA and 2006 ACE Instructor of the Year, is the Executive Vice President of Learning & Product Development for the FIT4MOM® franchise. For more than two decades, she has helped impressive brands such as Anytime Fitness, Schwinn®, Power Systems, ACE, Silver Sneakers, and BOSU® as a fitness business and programming consultant. An experienced educator, freelance writer, and certified Book Yourself Solid® Business Coach, she helps fitness entrepreneurs navigate the industry and make more money. 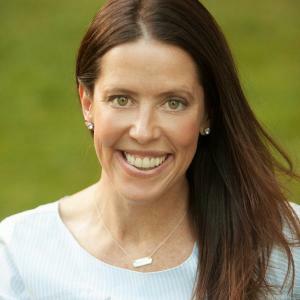 Fable serves as Chair of the ACE Board of Directors and is the founder and co-owner of GroupEx PRO®, a cloud-based group fitness management tool. ... read more.